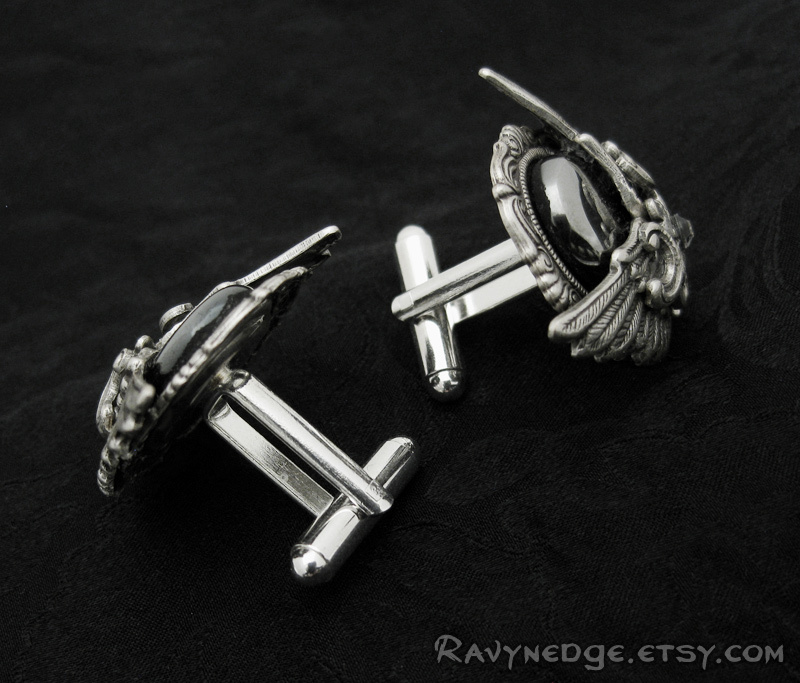 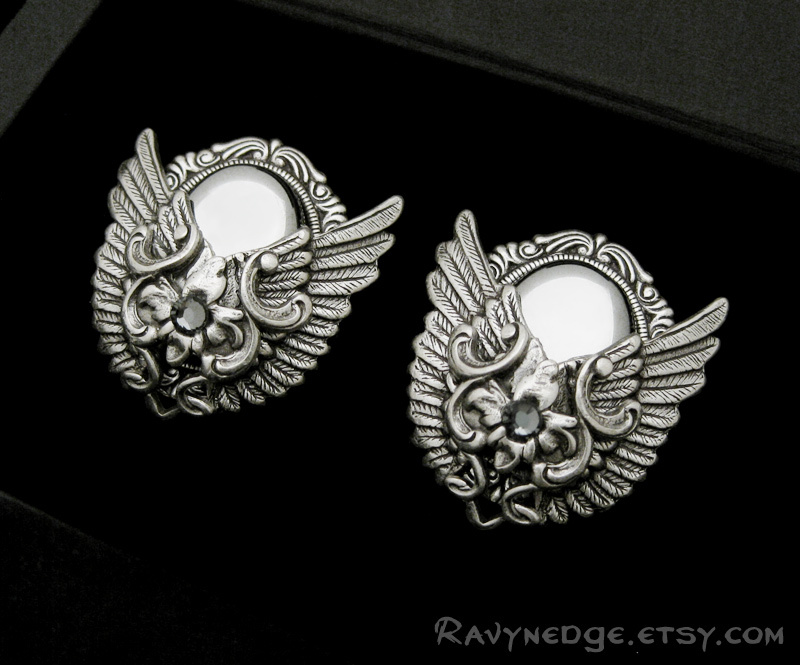 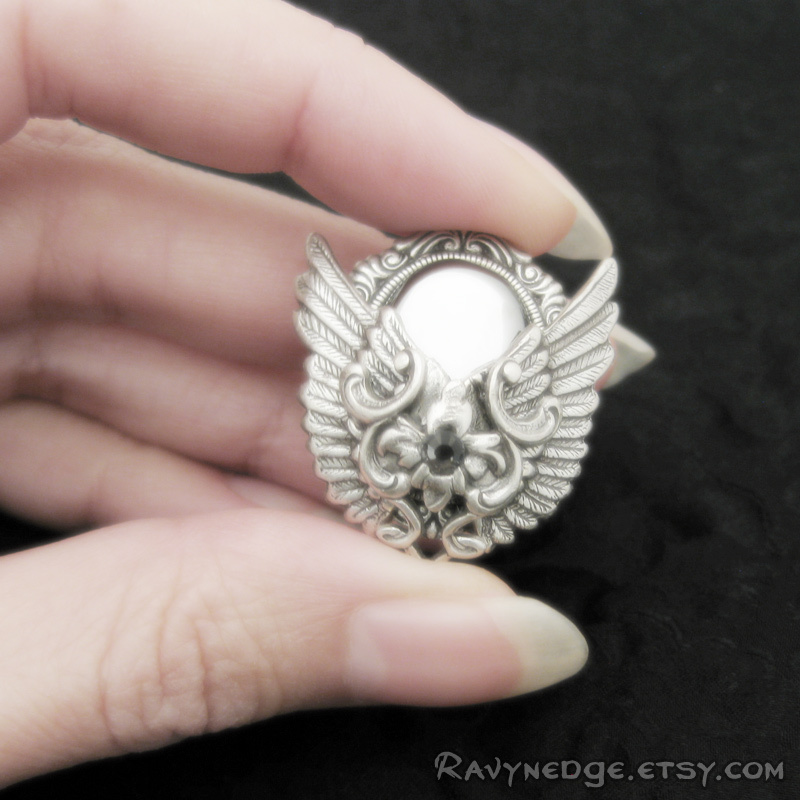 Reflections Cuff Links - Hematite Stone and Silver Filigree Wings Cuff Links by RavynEdge. 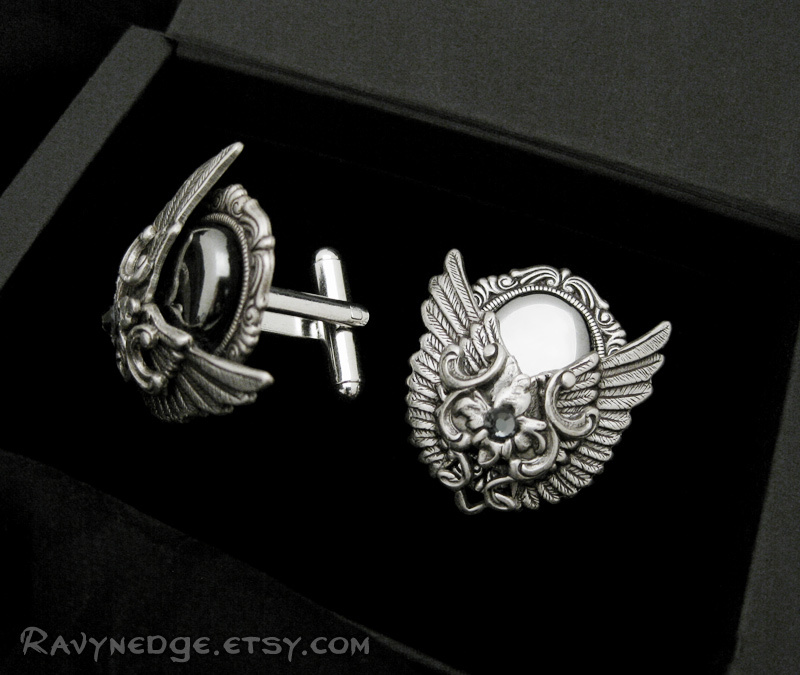 A unique pair of cuff links featuring a reflective vintage glass hematite stone peeking out from behind a pair of highly detailed wings adorned with flourishes and a small crystal silver night Swarovski flat back. 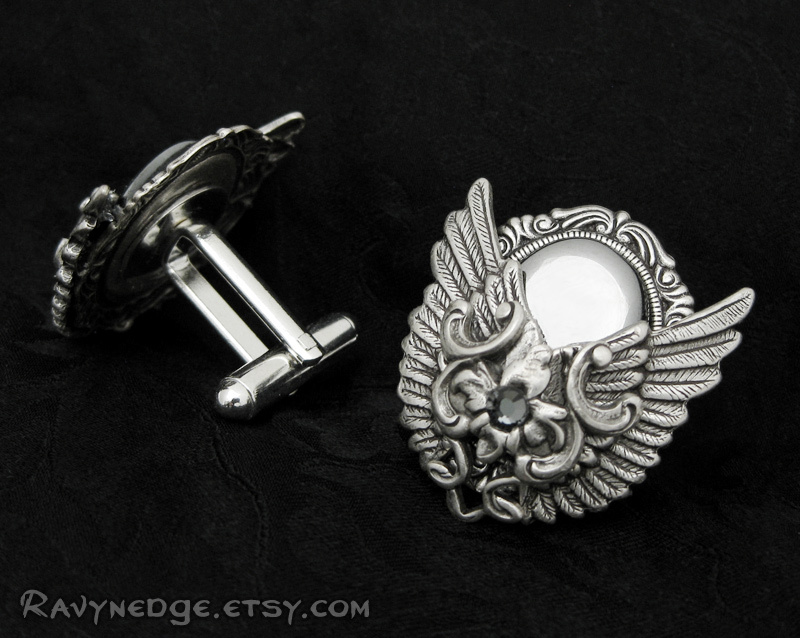 Each cuff link measures approximately 25.4mm (1 inch).